I have been fly fishing for 55 years and teaching it for 28 years. Every day and with every person I teach, I see how fly fishing benefits both experienced and new anglers. I have all sorts of people come for lessons – from top executives of multi-million pound companies to farmhands – and they all say learning to fly fish is one of the best things they have ever done. My uncle was an expert fly fisherman and very skilled at making flies and casting. He first introduced me to fly fishing when I was a young boy and from there I taught my group of friends. It wasn’t until I visited a game fair in my twenties that I realised you could be professionally licensed. So I set about gaining an Association of Advanced Professional Game Angling Instructors (AAPGAI) qualification. This is the only qualification recognised worldwide and it sets a very high standard. I love to teach fly fishing. It offers an escape that most people don’t get in their lives. You only fish when the weather is nice and you can walk for miles because the kit is so light. You stand in the middle of the river so still and quiet at times that otters and other river wildlife may swim right up to you, undisturbed by your presence. At times like this your mind goes blank and you forget the troubles of the day. Countless times I’ve been tapped on the shoulder by someone who tells me that I taught them to fish when they were young. One of my students went on to be the Chairman of his local angling club. I felt really proud that I had been able to make such a difference and that he had enjoyed fishing so much that it remained a big part of his life. I’m fortunate enough to be one of these people that can bring what they love in to their work. 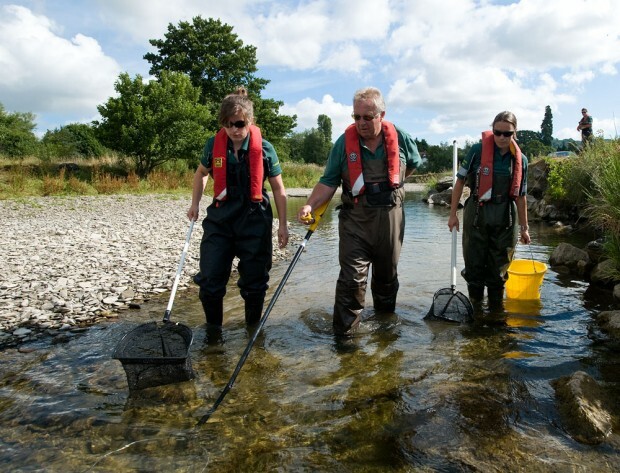 I joined the Environment Agency as a Fisheries Officer about 22 years ago. It’s my job to work with landowners, fisheries and anglers to try to make the environment better for fish and other wildlife. Part of my role involves responding to incidents at fisheries where fish are in distress and sometimes having to go out to rescue them. 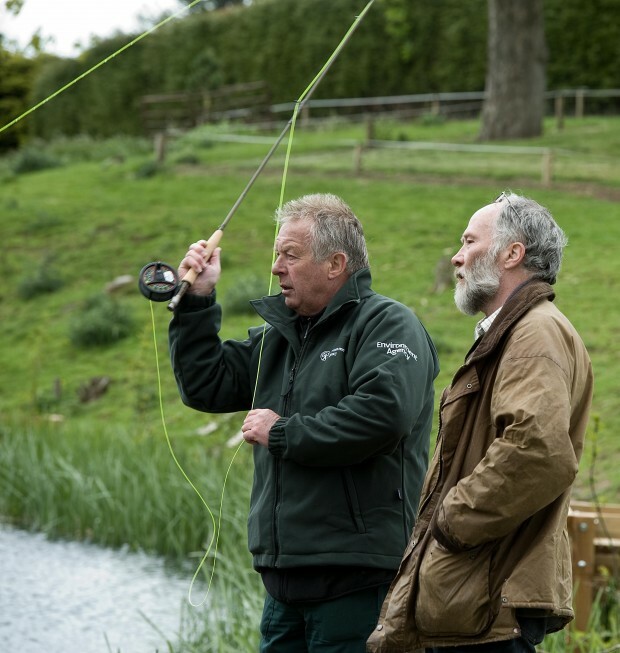 Rod licence money funds this work which includes advising fishery owners on how to recognise the signs to do all we can to prevent future incidents. My teaching and my job complement each other to a tee. As part of my teaching qualification, I had to learn all about the life cycle of the flies; the shape of the river and the wildlife in it; and how all this impacts on the fish. Sometimes, just from the look of the river, I can predict when a fish rescue will be needed and make sure we’re prepared. I work closely with anglers so that I understand what they need and they better understand what the Environment Agency is doing to improve rivers and fisheries.